By Hannah Coffaro On my first day in Jakarta, I decided to go to the mall. Although you may judge my choice of activity, it resulted from a very extensive decision-making process; I wanted to do something familiar, safe, and most important of all, air conditioned. When I arrived at the mall, I went through a metal detector and had my bag searched before entering. Every time I went up a floor, I had to go through the same process. 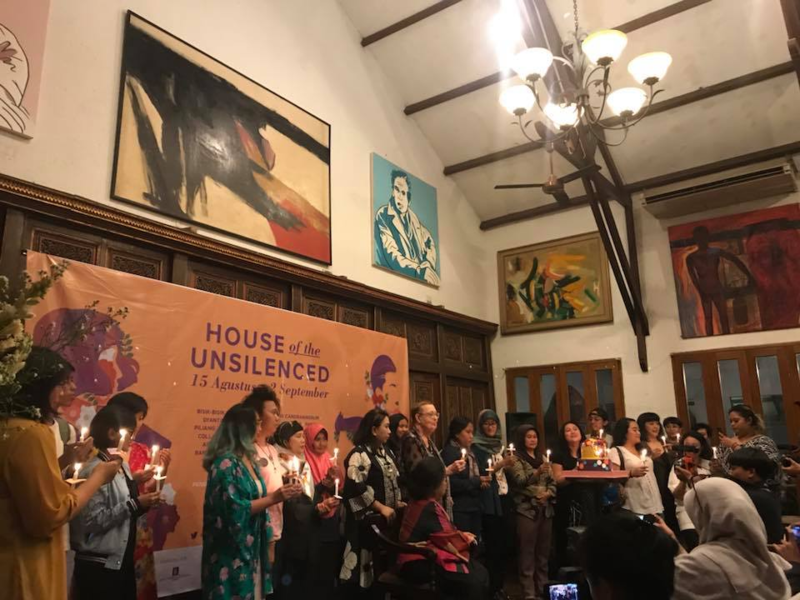 I asked about the extra security, and learned that many of the buildings in Jakarta have been bombed, so now they take extra security precautions. This was one of the first things that made me take a step back and really think about where I was and what I was doing. 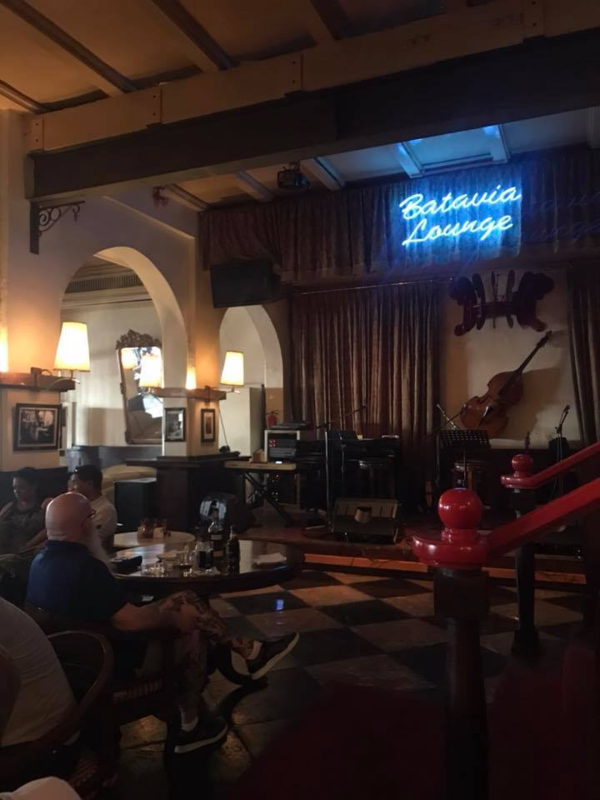 After aimlessly walking around the mall, I eventually decided to go to a place called Café Batavia. 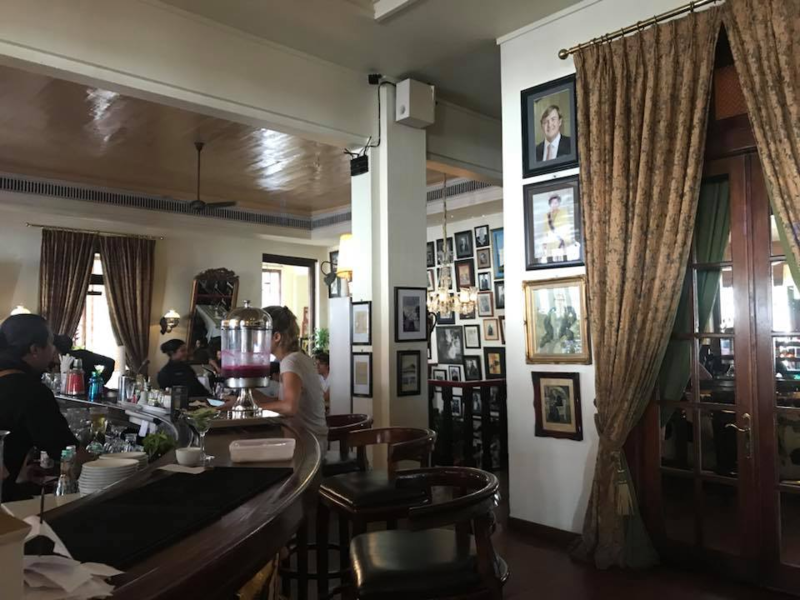 Named “The World’s Best Bar” by Newsweek International back in 1996, all of my travel books mentioned how coming here was “a must.” When I got there, it became pretty clear what all of the fuss was about; it’s located in a gorgeous colonial building that was built in the 1830’s by the Dutch. Inside, everyone was chain-smoking and a band played live music. The walls were covered with pictures of celebrities, and the room was full of beautiful wooden furniture, perfect for lounging in. I had never been any place like it; I felt like such a cool girl surrounded by all these adults, drinking and smoking indoors. What I didn’t know at the time was, you can basically smoke anywhere in Jakarta (and most people do). The hostess said hello to me in perfect English and I was completely taken by surprise. I asked her if she spoke English, and she said yes. I learned that her name was Carissa, and she was from Jakarta, but attended college at Baylor University in Texas. We became fast friends. She joined me at my table and we talked for an hour. 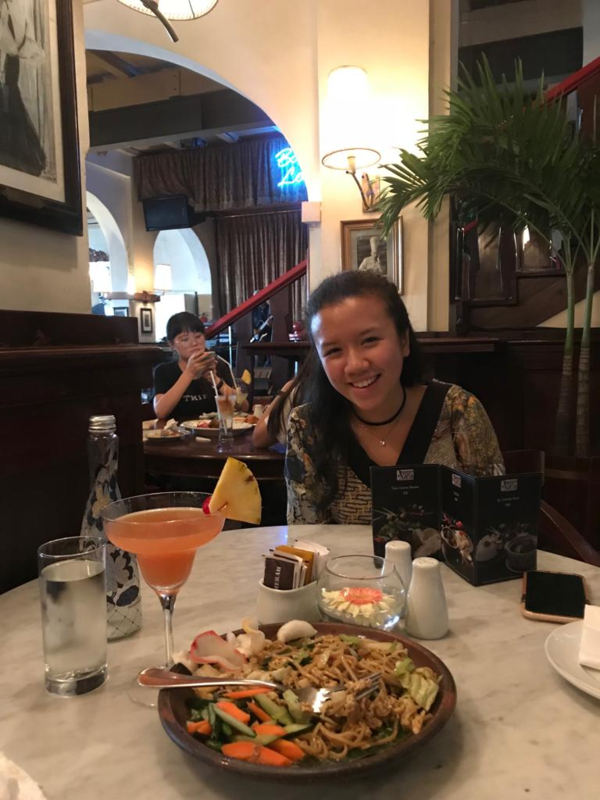 During that time, she introduced me to the owner of Cafe Batavia and the owner’s kids, who also went to college in the United States. Carissa eventually had to go back to work, but I stayed and listened to the live band and waited for her to finish her shift. While sitting there, I noticed a very unusual older looking man sitting alone. He was quite tall, and smoking a cigar, all while refilling his glass with a bottle that joined him at the table. Upon closer inspection, he had whiskers that twisted up, and went so far up the sides of his face they passed his eyebrows. Both of his legs were covered in tattoos. I watched him as he smoked his cigar and said hello to people. The entire staff seemed to know him. Many of them passed by and called him by his name. Feeling curiously confident, I walked over and asked him if I could sit down. I thought he might be an interesting subject for a story. After sitting and talking for a while, he told me that a couple of years ago, the US Embassy had been attacked. He said that following the attack, the United States had sent in the Marines, but “they could only do so much, legally;” that’s when they contacted him. He couldn’t say much about his job (on the record), but he gave me his contact information and told me to call if I ever needed anything. While I was waiting for Carissa to get off work, I went outside and looked around the old town. Within minutes, people were coming up to me and asking for photos. Throughout my stay, this happened anytime I went somewhere. 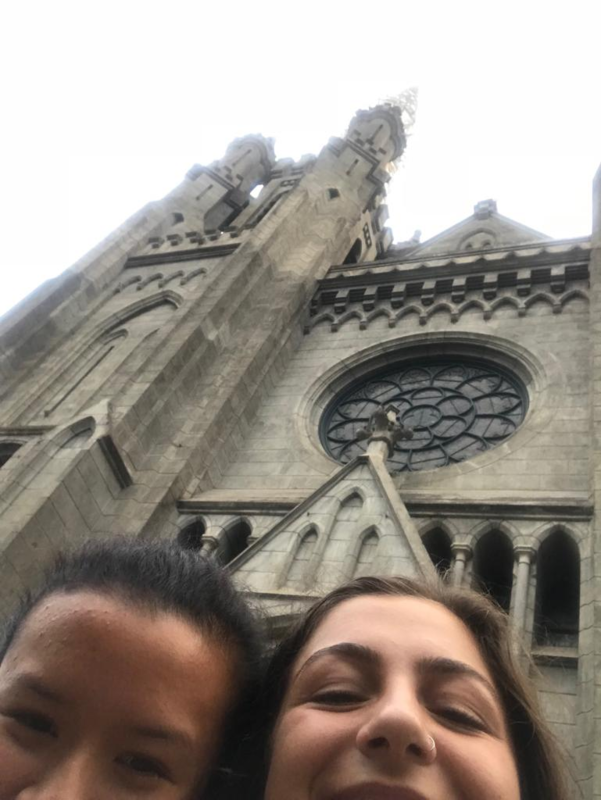 After Carissa finally got off work, she invited me to a Catholic Church Service with her family, which was to take place in a famous Jakarta cathedral. The entire service was in Bahasa Indonesian, but it didn’t matter to me; it was beautiful. Afterwards, they brought me with them to dinner, and then dropped me off at the guest house in which I was staying. This was my FIRST day in Jakarta and is truly a testament as to how the rest of my trip went. 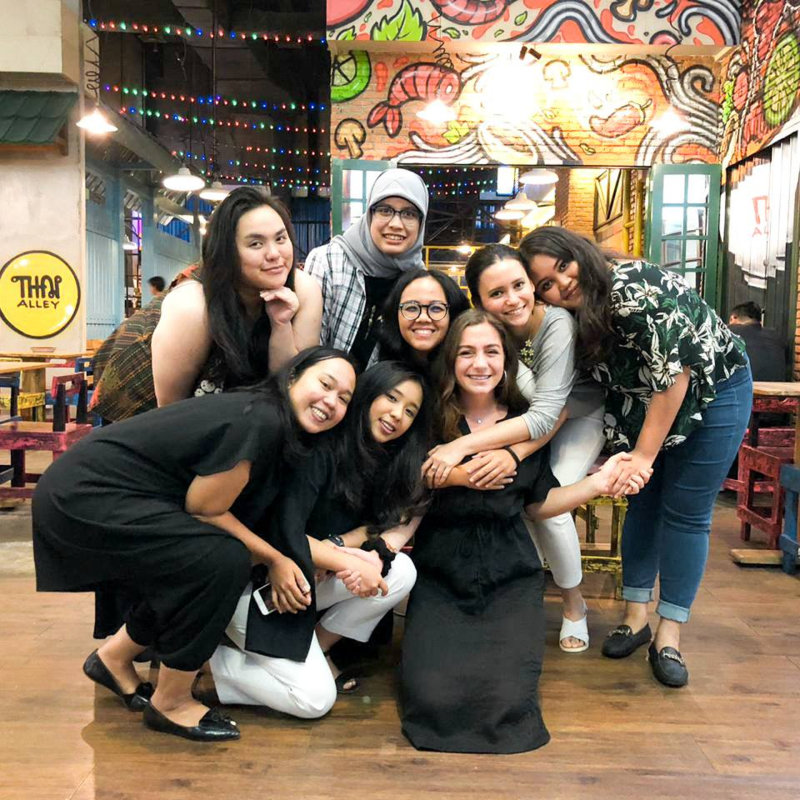 Throughout my stay, the Indonesian people showed me such acts of selfless kindness that, honestly, were hard to believe; I was a stranger to people that treated me like an old friend. I know this sounds so cheesy, but it has completely changed the way I now interact with strangers. During my time at the Jakarta Globe, I worked on the multimedia team. I was driven around to the fanciest hotels and nicest restaurants to cover stories. I also went to some of the most “hole-in-the-wall” kind of places you can imagine, and ate some of the best food of my life; I ate famous noodles and broth from a place that prepared them at 3 AM daily, and sold out by 10 AM, every morning. 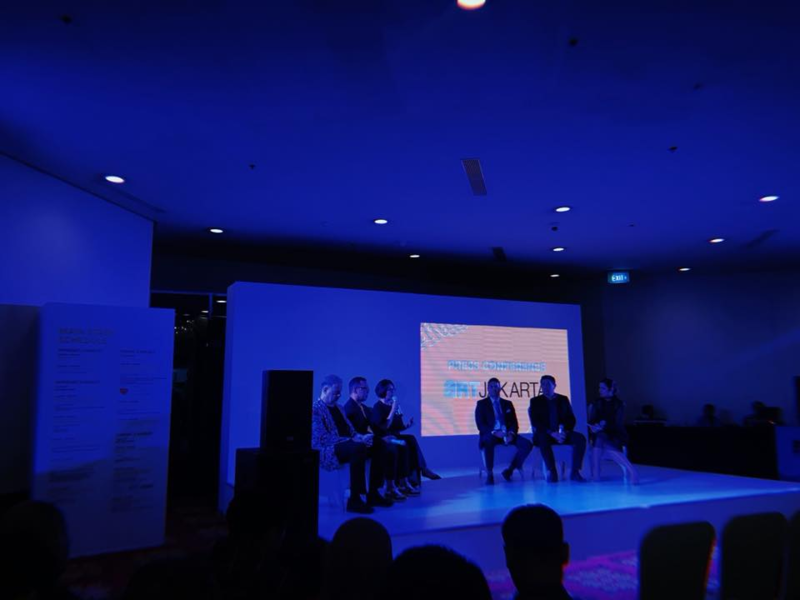 I went to music festivals that promoted the diversity of Indonesia, and countless art exhibits. 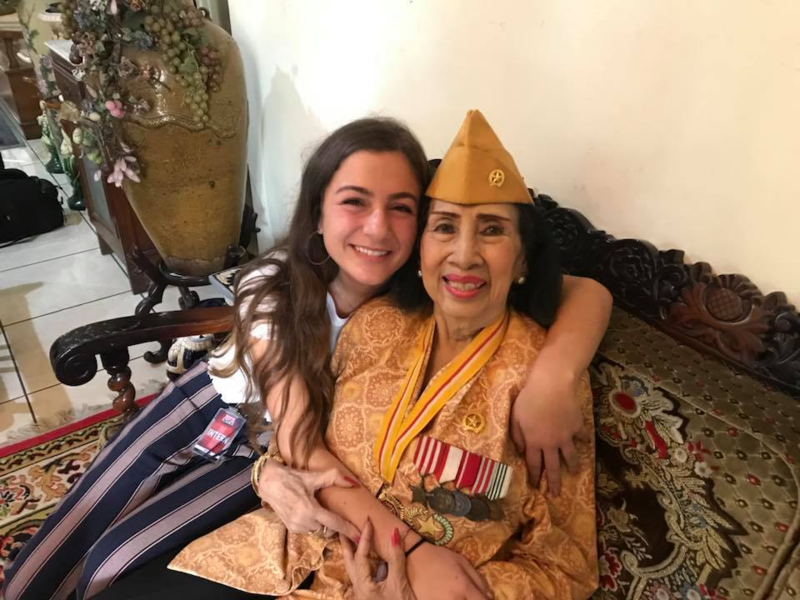 I interviewed an elderly woman who fought in the war for Indonesia’s independence. I talked with a local celebrity who decided to become the first hybrid cat owner in all of Asia. I had the honor of being a guest in her home, sitting only inches away from these wild animals, in two giant enclosures that she had built. I took photos for articles that were also posted on social media. 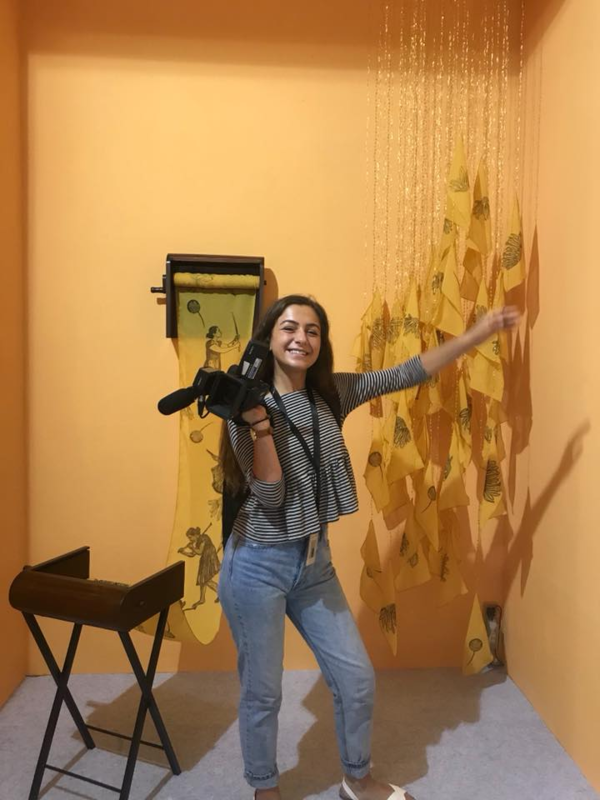 I learned the ins and outs of videography; I would come back at the end of a shoot, write the script for the videos, and work with a separate team that edited everything together. I truly had the time of my life. This was such an amazing experience, that I cannot even describe how lucky I was to have been afforded this opportunity! The things that I learned, and the friendships that I made, are unparalleled to anything I have experienced before. I encourage anyone who is considering applying, to go for it. However, I don’t want to fully glamorize this experience; I faced many challenges, but even after reflecting on all the “lows,” I would still go back and do this all over again in a heartbeat. I will be forever grateful.